Unfortunately this feature is not available in Exchange 2010. To hide members of distribution group you can use dynamic distribution group, which enumerate the group membership based on an LDAP query for a particular attribute being set on the user object. 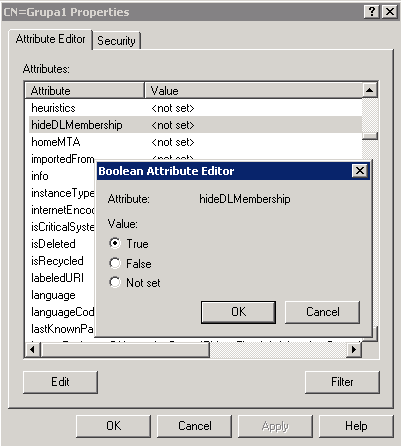 But if you don’t want to use dynamic distribution group or members of this group can’t be connected by any attribute, then you can modify distribution group object using ADSIEDIT to modify hideDLMembership attribute. Open ADSIEDIT console, find distribution group, open properties and find hideDLMembership then set value of this attribute to True. Tagged Distribution Group, Exchange 2010. Bookmark the permalink.